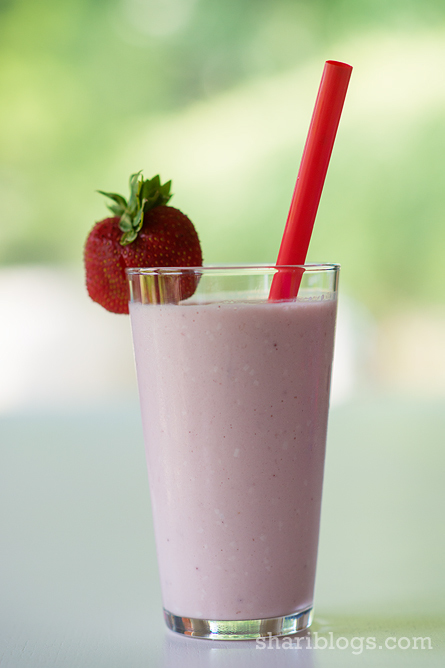 There isn’t much better on a hot summer day than a nice tall milkshake. 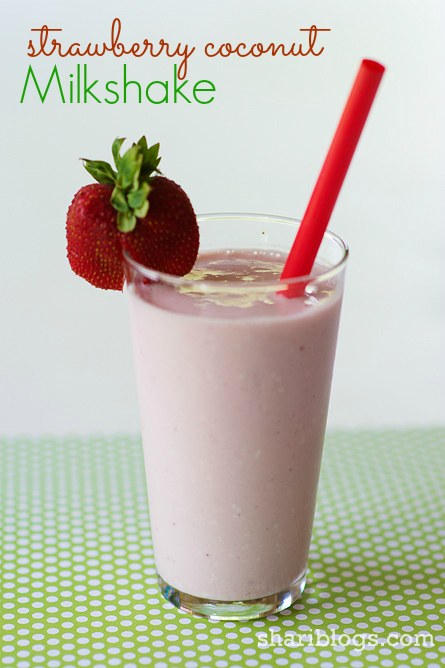 One of my favorites is a Strawberry Coconut milkshake. I am trying to eat healthier these days, especially with a beach vacation only a few weeks away! I thought I would share my favorite skinny recipe with you. Just three ingredients. Can’t get much easier than that! If you are worried about it not being sweet enough, trust me, that is no concern. If for some reason you feel you need more, feel free to add some Stevia or other sweetener to taste. 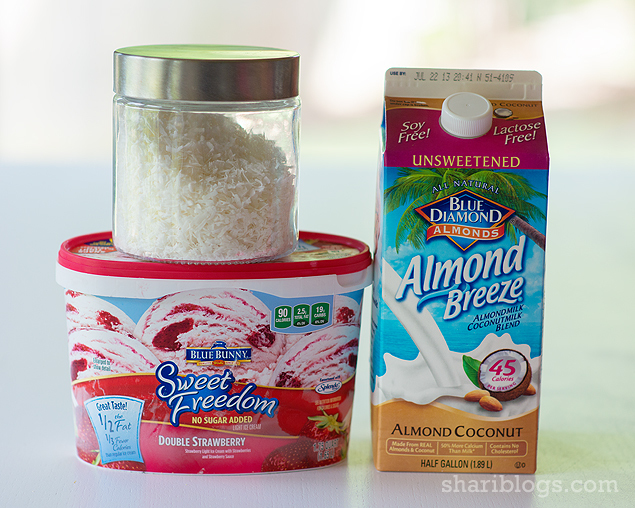 In a blender, add ice cream, almond milk, and coconut. If desired, add the Xanthum gum. this does not look very healthy! why not just use plain strawberries? cannot imagine what is in the ice cream. however i like the coconut strawberry combo ! You could definitely make with plain strawberries if that suits you better! Could you post the nutrition facts for this recipe? Thanks! You can easily find the nutritional information by entering the ingredients into a nutritional calculator. The one I like to use is located here… http://www.myfitnesspal.com/recipe/calculator.